Love and joy are friends. It is rather difficult to have one and not have the other! What a blessing! 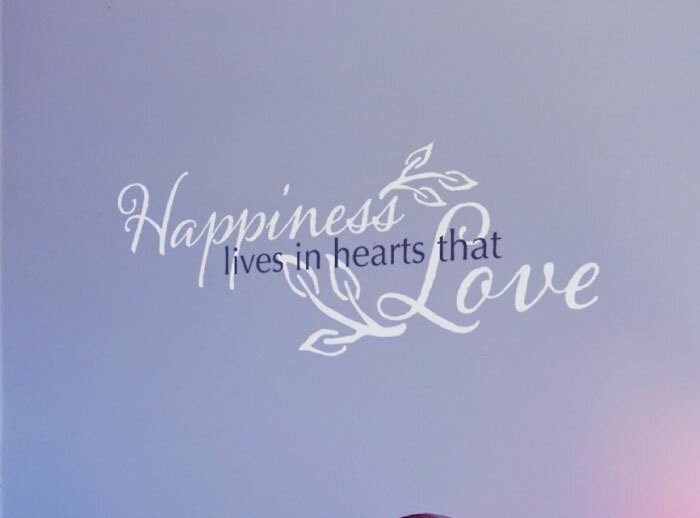 This open plan kitchen and living room is the perfect setup for our ‘Happiness lives in the hearts that love’ wall words. 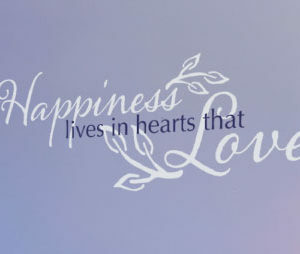 There is continuity that is visible just as the one between love and happiness! The two colored wall lettering ties in well with the light straw colors on the furniture. A joyous in addition, a lighthearted mood is well represented in the lettering art. 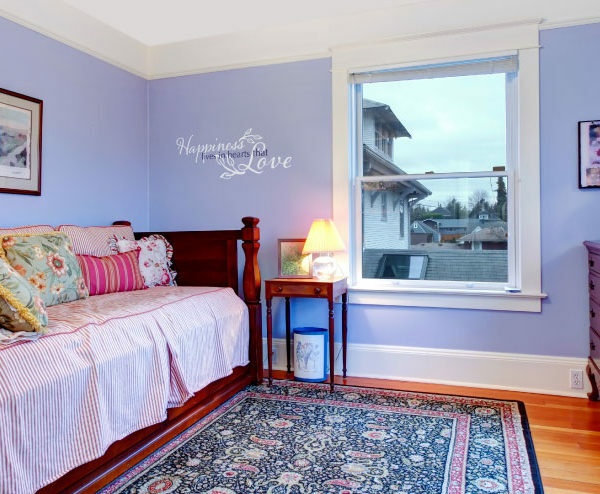 Families and friends will love spending time in this room! 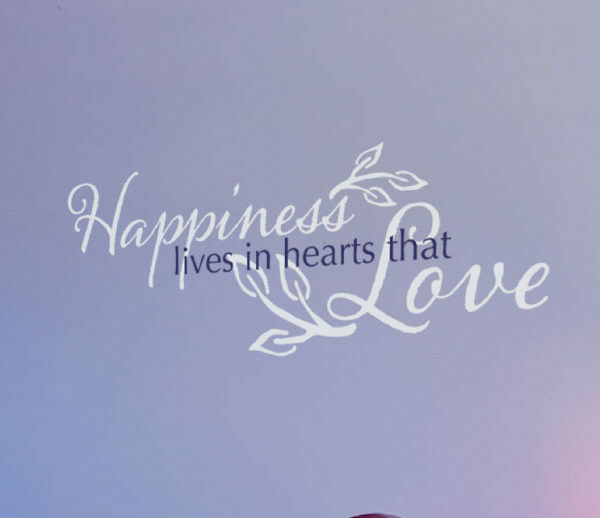 Are you thinking of decorating your open plan home with wall quotes that encourage family unity? Are you looking for a birthday, housewarming or wedding gift? At DecorativeLettering we have unique wall decor that will look great in any home! You may also use our wall letters to express a certain mood. 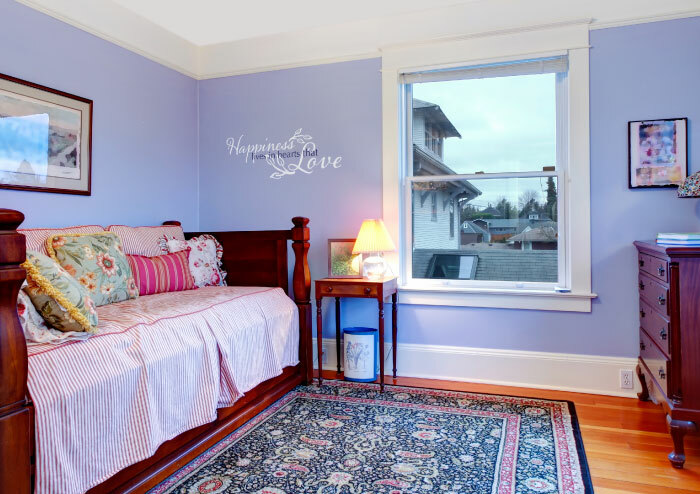 They are easy to apply: simply remove the back sheet and paste the pre spaced wall decals onto the wall! We apply matte on our products to make it easy to see or read wall lettering that is in a well-lit space. This gets rid of glare that comes about if you apply wall words near a light source, such as between sconces or next to a window. To make sure that you enjoy your wall decor for many years, we use resin. With DecorativeLettering products, you do get value for your money! Do call or email. We would love to hear from you.